I know how hard it can be to find gifts for health-conscious people. This thing is, giving gifts that help someone improve their health are literally gifts that keep on giving (think about it). To make things easier for you, I have hand-picked 53 healthy gift ideas that cover a large range of interests. That way, something is sure to catch your eye. Maybe you will even find something for yourself. 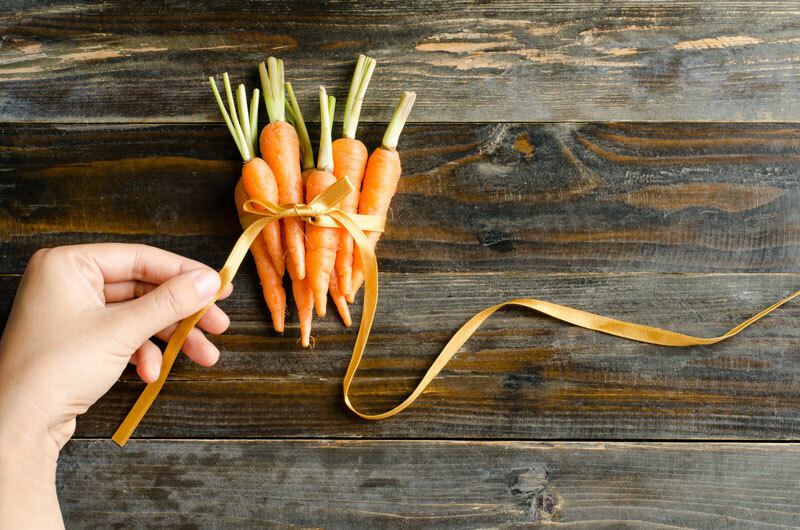 These gifts will help you become a healthier person, so why not treat yourself! These lamps are simply amazing. They emit a very soothing orange lighting. I have one in my bedroom and it puts me to sleep almost instantly! Don’t contaminate your home with toxic fragrance plugins. Instead, try an essential oil diffuser. Just put any essential oil of your choosing in the unit and your home will smell divine. Know someone who just started yoga or is considering getting into it? Then this yoga starter kit may be the perfect gift for them. Normal sources of light from light bulbs, T.Vs, and smartphones emit blue light (even if you can’t see it). This blue light negatively affects your body’s sleep-wake cycle. By using this bedtime lightbulb 2 hours before bed, you can significantly improve the quality of your sleep. It may sound silly, but it makes a huge difference! When it comes to meditation, people often have problems with sitting comfortably. Meditation pillows elevate your buttocks to properly align your hips and spine so meditation can become a comfortable and nourishing practice. KIND bars are a delicious way to snack responsibly and guilt-free. They typically contain a low amount of sugar, and have an ingredient list that you can actually pronounce! Know someone who hates vegetables? This is the perfect gift for them. 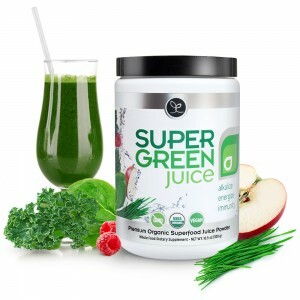 This green juice powder by Touchstone Essentials is packed with over 50 superfoods in a single serving. All you need to do is scoop some of the powder out and add it to a smoothie or drink. It’s the easiest ways to get the benefits of eating salad without actually having to eat one! Most of us are aware that chocolate provides countless health benefits. But what most people don’t realize is that you don’t really get the benefits unless it’s dark chocolate. Try this as a gift and your health-nut friend will surely be thankful. I had to add another chocolate idea because who doesn’t love chocolate? This company puts a unique twist on chocolate and adds two health-boosting ingredients into its bars: matcha and spirulina. Healthy snacks are one of the most difficult things to come up with. But coconut chips has to be one of my strongest recommendations because it provides a healthy source of fat. Ahhh kombucha… one of my all-time favorite drinks. Kombucha gives your gut a digestive boost because it contains helpful bacteria for your gut. For the motivated type, you can try to make it in your own home with this starter’s kit. I know this snack looks and sounds odd. But most people who I encounter that actually get themselves to try Sea Snacks are hooked– including myself! They are a great low-calorie snack that contains chlorophyll and iodine which are great for your health. There’s something about a french press that makes coffee taste so much better. Not to mention that unlike a traditional coffee maker, there is no plastic involved. No more BPA with your morning coffee. Cold-Brew coffee is my favorite in the summer. It makes a distinctly smooth tasting coffee. I have always wanted to make it myself at home but was too intimidated until I found this DIY cold brew coffee kit. And for whichever brewing method you choose to use, you’re going to need some delicious coffee to go along with it. Just when you thought there weren’t any more ways to brew coffee. I first saw these when I visited Portland, Oregon. They are a unique way to brew coffee that involves absolutely NO plastic which is pretty awesome. These Japanese teapots are just plain awesome. When I am in the mood for tea, these teapots, that can also brew loose leaf tea, are my go-to. Although delicious and healthy, matcha tea drinking takes a few tools to get the job done. This kit contains everything you would need to prepare a traditional cup of matcha tea. A traditional South American tea that is known for its jitter-free and clean caffeine high. Traditionally yerba mate is drunk out of a hollowed out gourd. This is my favorite tea to wake me up when I’m feeling groggy. If you plan on getting yerba mate, you may want to consider getting a gourd for it too…but it’s not required. The problem with loose leaf tea is that you usually have to buy it in bulk to just try a single type. This loose leaf tea sampler solves that issue so you can find your favorite tea without spending hundreds of dollars. A mortar and pestle can be used to grind up any dried herbs or spices. It’s a great gift for DIY herbal remedy makers or chefs– a truly unique gift. Normally I am not a fan of kitchen gadgets but this is an exception. This crafty little tool can turn almost any vegetable into pasta-like noodles. Great for people who are gluten-free. Fresh herbs are so much better tasting than dried herbs. But you don’t always need a large bundle like they are sold in the stores. This cool invention allows you to grow your own herbs indoors so you can always have fresh herbs available. I try to avoid plastic whenever I can. These glass straws are a great way to embrace a plastic-free life. Every now and then I find myself needing a digital scale for a certain recipe and getting annoyed because I don’t have one. Everyone could use one of these, especially if you have or are getting a french press. A juicer on steroids. This juicer takes things a little slower to make sure that the juice retains as many nutrients as possible so you get the most out of your juice. This is a gift that someone will use every day–literally. Pyrex are a great way to store left-overs or your lunch without resorting to plastic. I wouldn’t know what do without ghee. Ghee is clarified butter and can be used as a cooking oil. It has a very high smoke point so unlike olive oil, it’s healthy to cook with at higher temperatures. Make your own delicious and healthy smoothies with the nutribullet. If you’re not familiar with it, it’s just a compact and powerful blender. Perfumes and colognes are typically chocked-full of toxic chemicals. So why not smell nice without harming your body? Plastics are harmful to your health and the environment. These toothbrushes are made out of bamboo and are 100% biodegradable. I haven’t used fluoride for more than 8 years and guess what? Still no cavities. Jason toothpaste keeps your mouth clean without putting nasty chemicals into your body. Shampoos are notorious for containing cancer-causing chemicals. Get this shampoo to keep your body chemical-free and your hair squeaky clean. This is the holy grail of a natural facial. This amazing sponge exfoliates, prevents breakouts, balances your skin’s pH, and prevents blackheads. Your health starts with your gut and the best way to keep it healthy is to replenish your healthy bacteria by taking a probiotic. There are countless uses for essential oils. But it can be expensive to buy them one at a time. This is why an essential oils set makes a fantastic gift. Anti-inflammatory, essential for your brain’s health, and much more. This is one of my most-used supplements. Your body doesn’t absorb most multivitamins very well making them nearly pointless to buy. Food-based multivitamins provide high levels of absorption so you can get the most out of your multivitamins. Excellent in smoothies, spirulina powder is considered to be one of the most nutrient-dense foods on the planet. Some companies have even set out to solve world hunger strictly using spirulina powder! An awesome supplement to give your health a massive boost. It seems as if more and more people are having trouble falling asleep at night. Valerian root is a great natural way to help you fall asleep at night without messing with your hormones like melatonin does. Foam rollers are great for getting out those stubborn muscle knots on your legs, arms, or back. Most fitness junkies wouldn’t be caught without one. These shoes are as lightweight as it gets. They make a perfect gift for runners. Almost everyone that I see running or working out at the gym likes to listen to music. This arm band makes it easy to carry around your music without putting your phone or iPod in your pocket (which can get annoying). We don’t always have time to go to the gym. That’s why having some dumbbells at home can come in handy. The problem is, they usually take up too much space. These high-tech dumbells take up as much space as 2 but can adjust to a large range of different weights. If you want to make the most of your life and reach your fullest potential, THIS is your book. Atomic Habits is simply incredible for helping you make the most out of your life by increasing productivity and mastering your habits. Great for those who are just starting to learn about natural herbs and how to grow them. Another herbal medicine book but this one is better suited for people who are already familiar with the basics. A great book for self-improvement and spiritual enlightenment. Many people rave about how this book can change the way you look at life. Written by Eckhart Tolle, this book teaches you how your ego is controlling every aspect of your life and causing conflict along the way.